* Just past us the photo of the person's to be drawn and we will get the drawing out in 10-14 working days. * Express order can be arrange but will have additional express surcharge. Pls contact us if express services needed and advised the date you need it to be ready etc. * Completed drawing will be in A4 sizes. 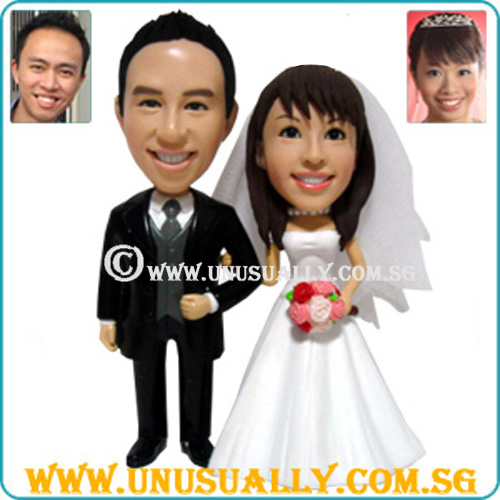 * It can be drawn as couple or individual caricature drawing. * For the posture and attires, you can also advised us your requirement's by sending us the pictures of the attires & posture you want. * You can have the option to add in name to the drawing with no extra charges. 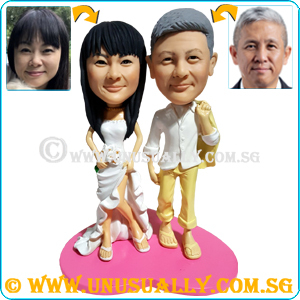 * You can also have your drawn up caricature drawing to be in-print on keychain, pillow cushion, photo frame, mini t-shirt, wall tiles, puzzles, Iphone case etc.